What makes a city an ‘’authentic Bosnian city’’? Does that mean, in this case, demagogic attempts to replace long-lasting Herzegovinian heritage of the city of Mostar with public Bosnian indoctrination, as implied by Mostar-born Safet Oručević? It is fundamentally important to realize that such friction-infusing and heinous statements will be met with resistance. 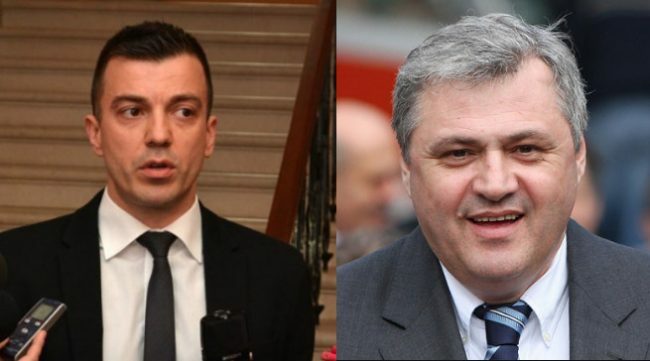 Damir Džeba, President of the City Council of the Croatian Democratic Party of Mostar (GO HDZ BiH), told the Croatian Media Service that such statements of the former (vice) mayor of Mostar, Safet Oručević, are going to encounter their due defiance. ‘’Mostar will surely obtain a City Council and mayor, and will become a Bosnian city. A monumental capital, a true Bosnian city.’’ – Oručević audaciously declared in a statement given to N1. Džeba refutes such claims as ‘’geographically and historically incorrect as well as highly illiterate and ill-intended’’, dismissing aforementioned tantrums as inadequate in the modern day and time. He adds that although he does not know Oručević personally, citizens paint the picture. Senior colleagues, regardless of their nationality, otherwise known as the ‘’old Mostar bevy’’, claim that Oručević profited off of a gobelin business in the pre-war era. Strangely enough, no details have ever come to surface, but the tale lives on next to stories of economic frauds and war crimes. Moreover, the bevy claims that statements of Mostar being ‘’a Bosnian city’’ would not have been welcome in the past either and that Oručević surely would not have had a good time whilst putting these words forward – says Džeba. He goes on to explain how senior colleagues have a difficult time grasping the idea that a child of Mostar, born in the very heart of Herzegovina, would publically succumb to such claims. Equally, if one claimed that Sarajevo is or is going to be a Herzegovinian city, or an authentic Herzegovinian city for that matter, they would come across pale facial expressions, followed by a helping hand to an individual advocating such foolishness and probes into the orchestrated rhetoric behind them – maintains Džeba. Older citizens of Mostar, he adds, try to understand this treacherous behavior by comparing it to the pre-war broadcast Survival, or Animal Planet nowadays, when an individual of a species joins a group of other species, taking on the behaviour of the group to which it is newly associated. They point out that long endeavours in Bosnia and companionship with Bosnian politicians has turned our Oručević, a native to Herzegovina and Mostar, into a geographical and political Bosnian. Citizens assure me that throughout the initial war period, Safet was a model member of the Croatian Defence Council (further: HVO). The testimonies are backed up with photographs and recordings of Safet in a HVO uniform, obtaining the position of a Security Officer at the office of the HVO Municipal Staff Commander in Mostar. Seems as if he took no issue with Herceg-Bosna when he exploited it to gain a Croatian passport – Džeba maintains. According to statements of the Mostar Joint Criminal Enterprise members, Safet Oručević celebrated the New Year of 1993 in Dubrovnik, Croatia, in the company of the Croatian Defence Council. What a chap, eh? He points out that Oručević took no issue in joining HVO – the same organization which acts as a colossal target of his modern-day accusations, and that he had been part while changes to street names were being discussed. It is a part of his legacy, and therefore rather commendable for him to put effort into solving a problem which came to be during his time. These actions are similar to a police practice of ‘’returning to a crime scene’’, but it could also be related to his guilty conscience – says Džeba. While commenting on Oručević accusing the Croatian Democratic Party resisting to change the street names belonging to fascist officials, Džeba assures that the Croatian Democratic Party is in fact the sole bona-fide proponent in changing controversial street names. Ljubo Bešlić, Mayor of the City of Mostar, intended and repeatedly officially initiated the process of changing three street names, streets firstly named throughout the duration of war. Furthermore, he introduced the idea of renaming them to honor the esteemed poets of both Mostar and Bosnia and Herzegovina – Džeba explains. He adds that the ‘street’ has an opinion of its own. People proclaimed their wishes to carry out the renaming process while incorporating names of praised poets from Mostar and Bosnia and Herzegovina as well as flower species. Džeba laughs, suggesting that Oručević should name and reside in the Sunflower street. He adds that comments made by Oručević should be disregarded as tasteless jokes and stunts. Statements like these might just drive Stjepan Mesić or Željko Komšić out of a job. Džeba adds that named individuals allow themselves gross missteps, such as Mesić glorifying fascist ideas and goals and Komšić hanging a painting of an individual, who openly supported the fascist movement, only to proclaim themselves as praised champions of the anti-fascist movement. Sarajevo-based media skilfully suppresses factual evidence, deftly disguising it from the general population, even though strong video and written confirmation suggests different findings.